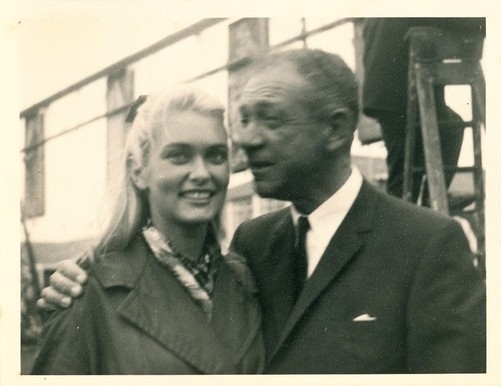 The March photo of Alexandra with Sid James has never been seen or available to the general public until now. The picture with Sid James was taken in 1964 when I was 18. I was auditioning on the set of the Beauty Jungle - I did not get the part, Janette Scott did - but I did meet get to meet Sid, and he was lovely and very funny! The film was directed by Val Guest.